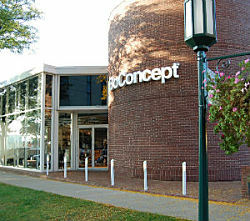 BoConcept Birmingham opened October 2013. The store occupies 6,800 sq ft in a building with unique architecture on South Old Woodward Street, a highly desirable retail location within the Principle Shopping District of the city and accessible by both pedestrians and vehicles from the center of town. The store has a true “urban-vibe” and showcases more than 22 studios of furnishings and has dedicated customer parking and highly visible signage from multiple directions from the roadway. This store enjoys a very positive reputation and a high percentage of the business comes from repeat clients. Annual sales last year were $1.2 Million. The investment for this Brand store will amount to $150,000 + approx. $100,000 - $150,000 in inventory, fixtures. Financing options available. The BoConcept story started back in 1952, when two gifted Danish craftsmen, Jens Ærthøj Jensen and Tage Mølholm, decided to open a furniture factory in the small town of Herning, Denmark. Their goal was not only to produce high quality furniture with a great design, but equally important to make the furniture functional and affordable. Today, BoConcept is Denmark’s most global retail furniture chain with 260+ successful franchise stores in more than 60 countries. BoConcept is an international retail concept providing a coordinated and customized product range of design furniture and accessories. 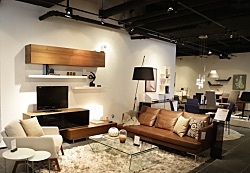 The BoConcept brand is uniquely positioned in the market as “affordable luxury”. Our mission is to make affordable modern design furniture available to the urban-­-minded shopper, and to ensure that our customers receive a unique shopping experience and individualized furniture solution for their homes. 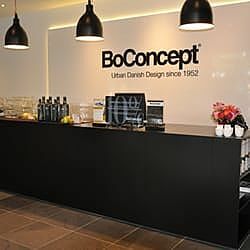 BoConcept has grown its global presence through a unique strategic market positioning and our Franchise model is a proven and award winning concept. We have an exceptional toolbox for every aspect of running a BoConcept store and the majority of our franchisees owns multiple stores. Our business model and core competencies are applied throughout the value chain from design, branding and marketing, to optimizing the overall sales performance in the stores.